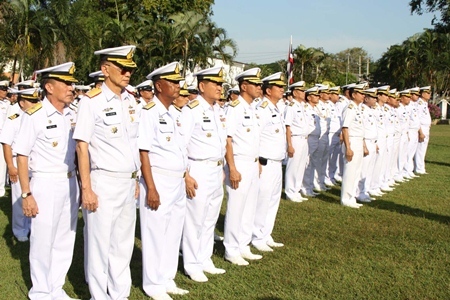 More than 200 Royal Thai Navy students attended a sea training course aimed at building stamina while working on ships. 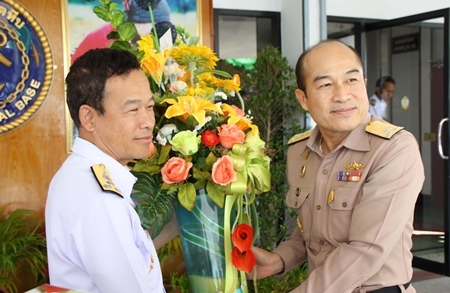 Rear Adm. Sucheep Wangmaitree, training director at the Royal Thai Naval Academy, opened the Jan. 22 course for college students in the Naval Science program at the Sattahip Naval Base. 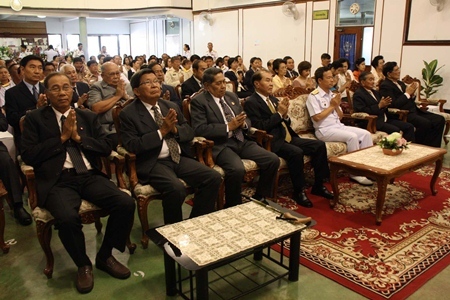 Sucheep said the sea training is done after theory classes have been completed to benefit the health and mind, as well as build stamina so students can learn to live at sea for long periods. The course is a prerequisite for later ship-based courses. Part of the course requires students to swim from Laem Thien Pier to Koh Phra, a distance of 1 nautical mile. 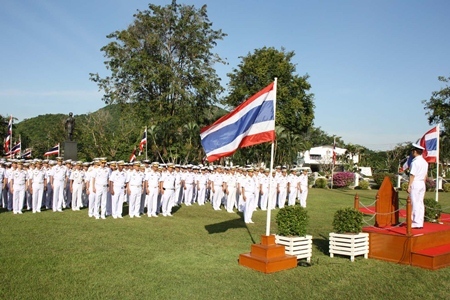 College students in the Naval Science program at the Sattahip Naval Base begin their swim from Laem Thien Pier to Koh Phra, a distance of 1 nautical mile.